100% video content available on-demand to help grow your training organisation. David Zanker - Growth hacking specialist, speaker and investor with a focus on the education, employment and accounting sectors. ➤ Master of Business Administration (MBA) - final project being the application of Total Quality Management (TQM) principles to the student recruitment process for Registered Training Organisations. ➤ Over 10+ Years as an education marketing specialist, consulting to over 100 registered training organisations and responsible for generating over $50M revenue. ➤ Previously CEO of VETtrak, the largest provider of student management systems in Australia, more than doubling their annual profits in just 10 months through redesigning the product and services mix. ➤ Was Sales and Marketing Manager for what became Australia's fastest growing training provider, starting a new division which booked over $10M revenue in its first 12 months. ➤ Author/blogger of the Institute of Careers, a career advisory service which was listed in the Anthill Smart 100 and now has over 50,000 subscribers. ➤ Managed recruitment across six sites for a Government owned JobActive / JSA provider. ➤ Developed and launched the Barefoot Money Guide which now has over 15,000 subscribers. ➤ Winner of the 30 under 30 entrepreneurship award at age 24. ➤ Early investor of Accodex Partners, awarded Australia's most innovative accounting firm in 2015. David has generated over $50M revenue for the VET sector in the past 10 years. 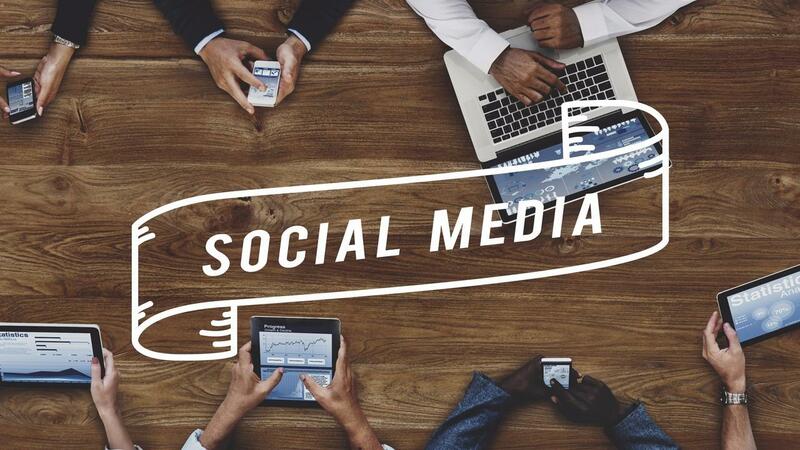 This masterclass explains how you can use #social to generate enrolments in 2017. 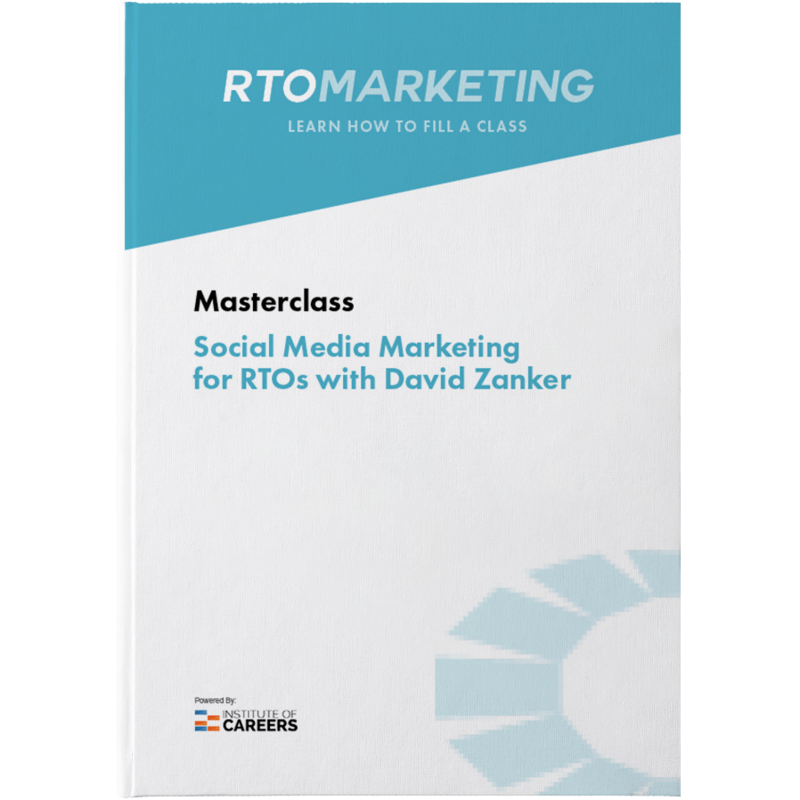 Short overview and discussion of the standards for RTOs as they apply to social media marketing. 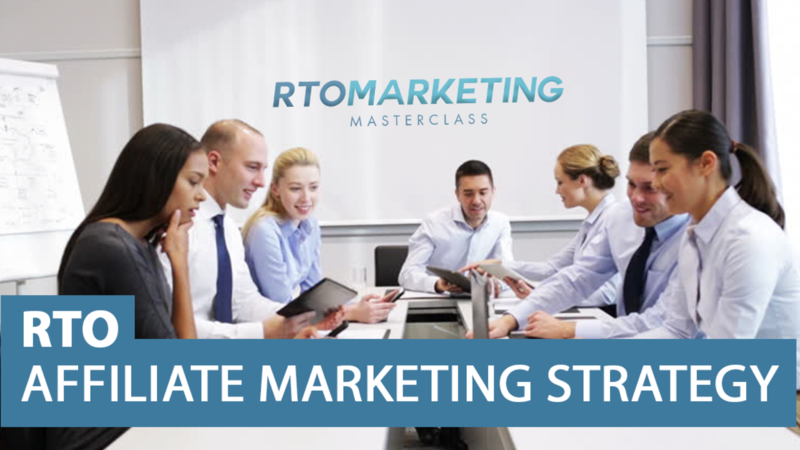 Learn how to conduct a sprint session to build your campaign and start generating leads/sales on Facebook in under 24 hours. Learn the data analysis behind getting the best ROI. 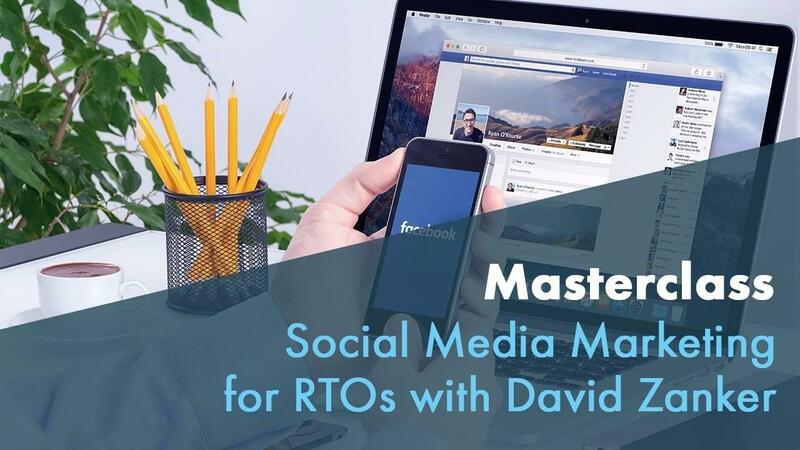 Learn how we create Instagram niche sub-accounts that feed into your RTO master account - and the formula for building a large, targeted, organic following quickly. Want to check the quality before purchasing? Here's a free sample lesson on us explaining how Facebook tracking pixels work.